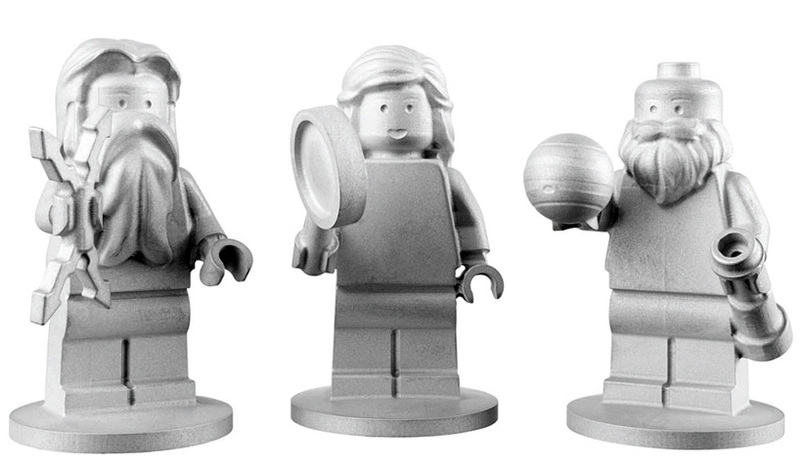 Three aluminum LEGO figurines depicting Italian astronomer Galileo and Roman gods Jupiter & Juno were specially commissioned by NASA to travel to Jupiter aboard the Juno space probe. Special manufacturing was required to insure the figurines do not interfere with the spacecraft's sensitive instruments. The probe is expected to reach its destination in 2016. Patience.